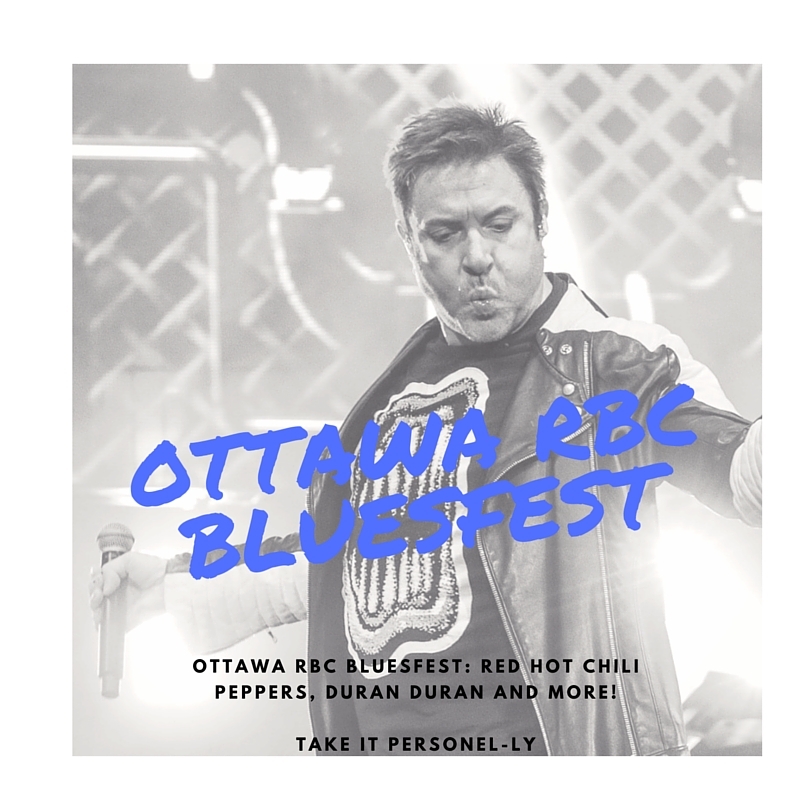 Ottawa RBC Bluesfest: Red Hot Chili Peppers, Duran Duran and More! My last two days at Bluesfest were adventurous but lots of fun. I attended the sold out Friday night with the Red Hot Chili Peppers and again on Saturday with Duran Duran. The weather did not cooperate on the Friday night. It poured as I made may way to Bluesfest after work by public transit. And although it stopped briefly, it started raining again shortly after I got in the gate. I made my way around the grounds again, and this time Best Buy had a booth set up near the Monster stage. While it is fun to see La Mode and other similar tents around Bluesfest, I am a huge tech geek, so I be lined right for Best Buy. They were still finishing their set up when I got there but I had fun checking out the various gadgets that they had on disply. I got a kick out of seeing the Fujifilm Instax Mini 8 Instant Camera. It takes credit card sized ‘Polaroid’ type pictures. I can picture how much fun it would be to use at a gathering like a BBQ or get together. It would also be great to use if you want to set up your own photo booth at a wedding or other event. 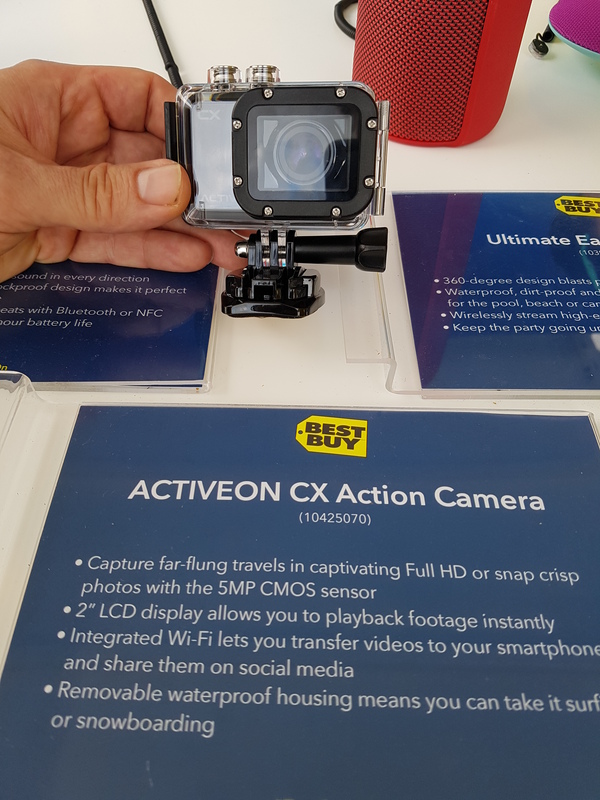 I also liked the ACTIVEON CX Action Camera that they had. An action camera would be so much fun to use. 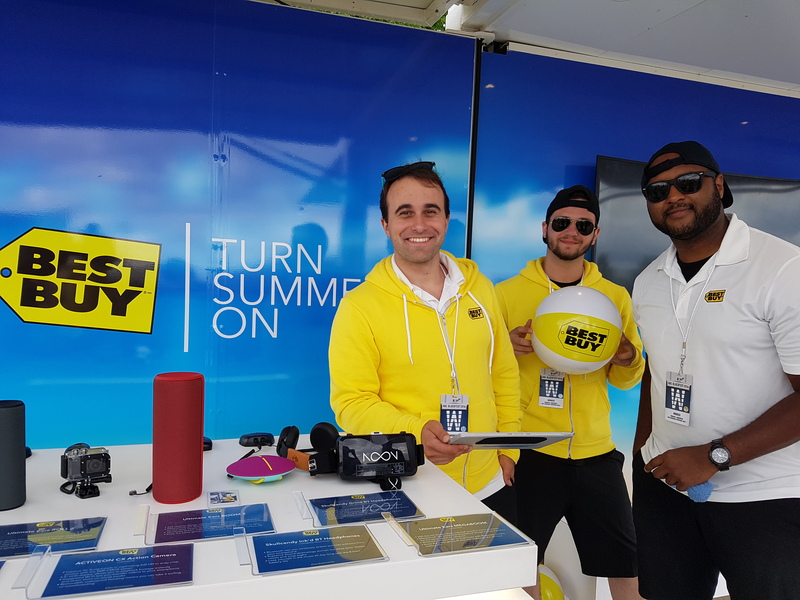 Besides the cool tech gadgets on display, Best Buy also had a contest for Bluesfest attendees, whereby you had to share a photo on Twitter or Instagram, with two specific hashtags, then you could ‘spin to win’. 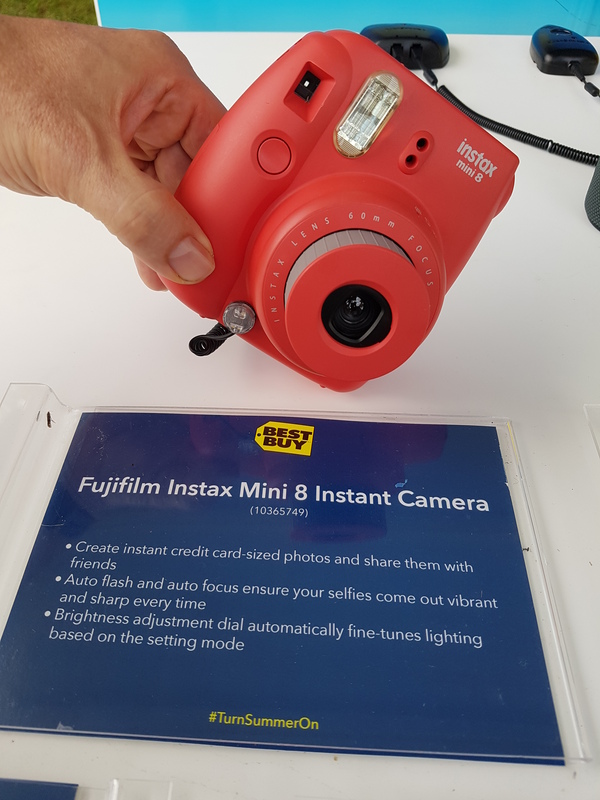 The Best Buy booth was giving away 1 Fujifilm InstaMax Mini 8 Instant Camera and 1 ACTIVEON CX Action Camera per day (Friday, Saturday and Sunday). Sadly I did not win either prize on the Friday night, but it was still fun to get my geek on for a bit. Since I was near the Monster stage I decided to stay and check out the concert that was starting shortly after my visit to the Best Buy booth. 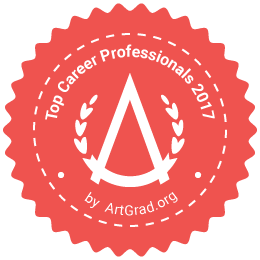 And I am so glad that I did! 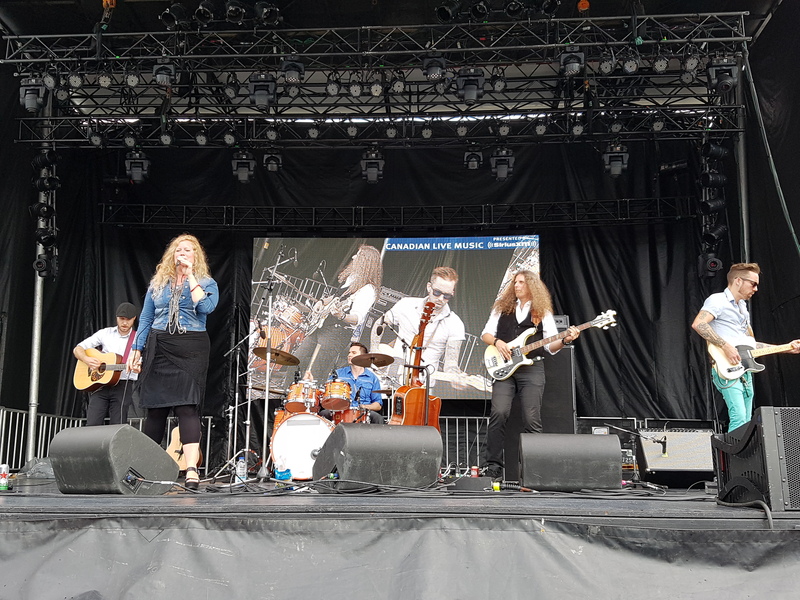 I discovered another musician and band that I did not know of prior to attending Bluesfest: Lindsay Ferguson. Lindsay’s singing is a musical journey. Every song is different from the last and while I was not familiar with her music I enjoyed every single song. All the music was from her newest album titled ‘Chameleon’. Lindsay Ferguson’s band is also very talented and they have a great on stage chemistry. Her band consists of Brock Zeman (acoustic guitar), Steve Foley (drums), Christopher Hopkins (bass), and Blair Michael Hogan (electric guitar/mandolin). 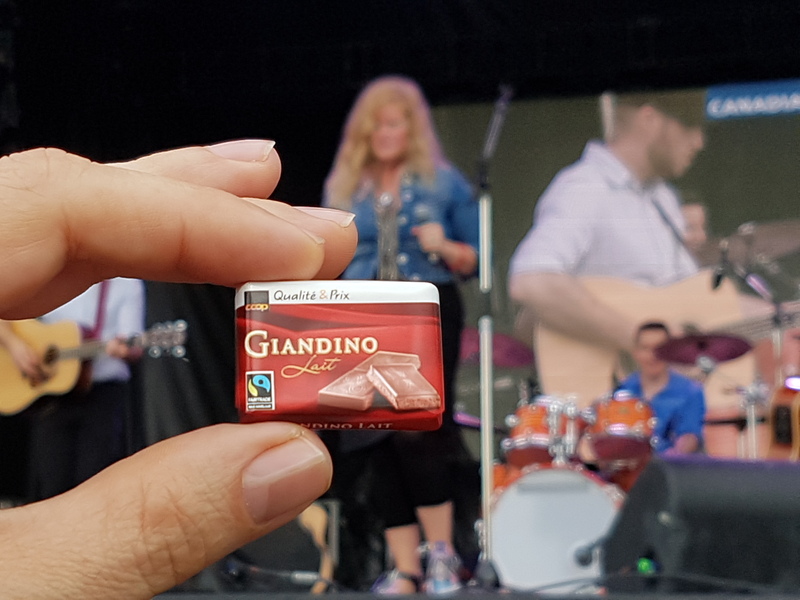 My hubby attended Bluesfest with me on Friday and I laughed when Lindsay introduced her band members as my hubby’s name is also Blair. I found it a shame that Lindsay only played for an hour because I could have listened to her for a lot longer. I was also hooked as every once and a while Lindsay would reach down and grab a fistful of Swiss chocolates and throw them at the audience. Since I have OCD (obsessive chocolate disorder), that to me was better than throwing a guitar pick. I managed to catch a Swiss chocolate too. In my opinion, Lindsay Ferguson saved the best song for last. She sang an a capella melody called ‘Donal Og’ which is also from her latest album ‘Chameleon’. It was beautiful! I decided to hang around the Monster stage and wait for Coleman Hell. I like his song ‘Fireproof’ and I had plenty of time to kill before the Red Hot Chili Peppers’ show began. I don’t really know how to describe Coleman Hell’s performance. He was super energetic, bouncing around all over the place. He even threw bagels out into the audience. I caught a sesame seed one. Coleman Hell fans loved him. Just before he took the stage the rain started to come down harder. With the rain and wind I was feeling colder and colder so I gave up on his show. It wasn’t in my taste which is fine as Bluesfest offers so many different kinds of shows. Since I was right in the front, a few teenage girls standing behind me were thrilled when I offered them my spot. I quickly retreated to find shelter for a little bit. I was completely soaked from head to toe. 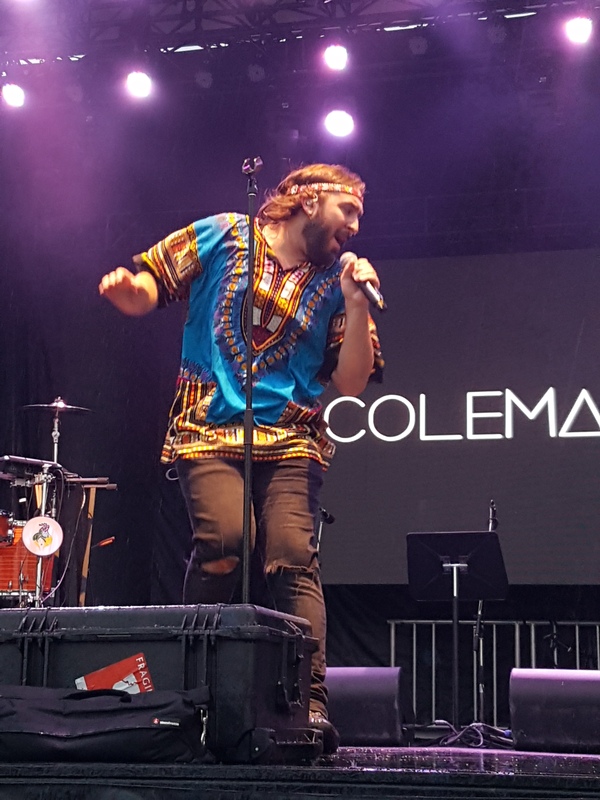 The Friday at Bluesfest was unlike any other night that I attended this year. The Friday night pass sold-out this year and the ticket prices were hiked in advance of the show selling out as well. That was the first time in nearly 20 years for Bluesfest organizers, with attendance reaching 40,000 that night alone. I have had the pleasure of seeing the Red Hot Chili Peppers many years ago in Montreal, and they really do know how to put on a great show! 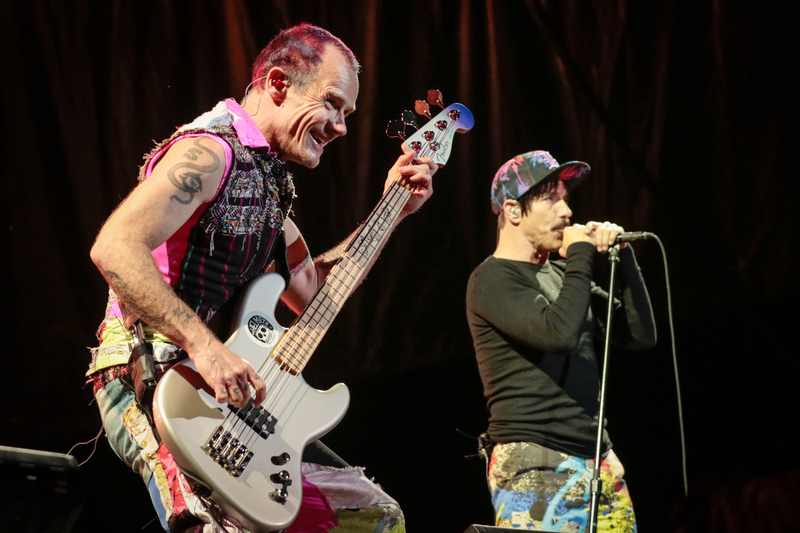 The Red Hot Chili Peppers opened the show with the song ‘Can’t Stop’. 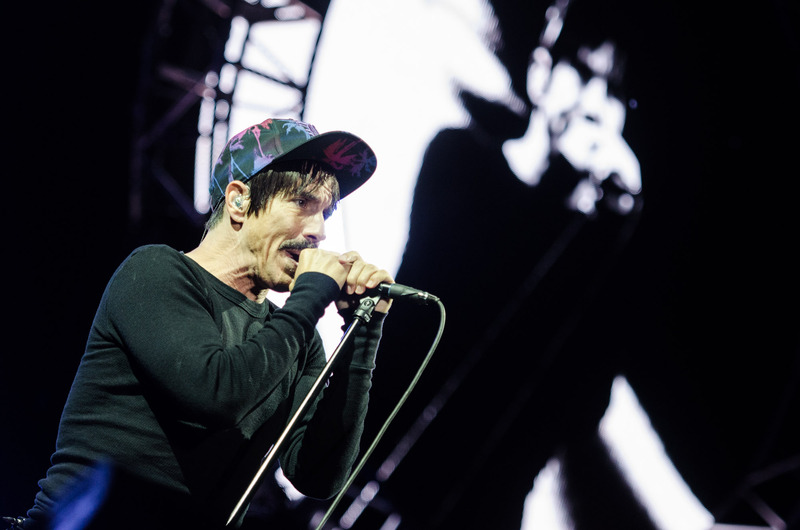 It was the first time the Red Hot Chili Peppers were back in Ottawa since 2012. They continued their set list with ‘Dani California’, ‘Scar Tissue’, ‘Otherside’ and a song from the new album called ‘Dark Necessities’. 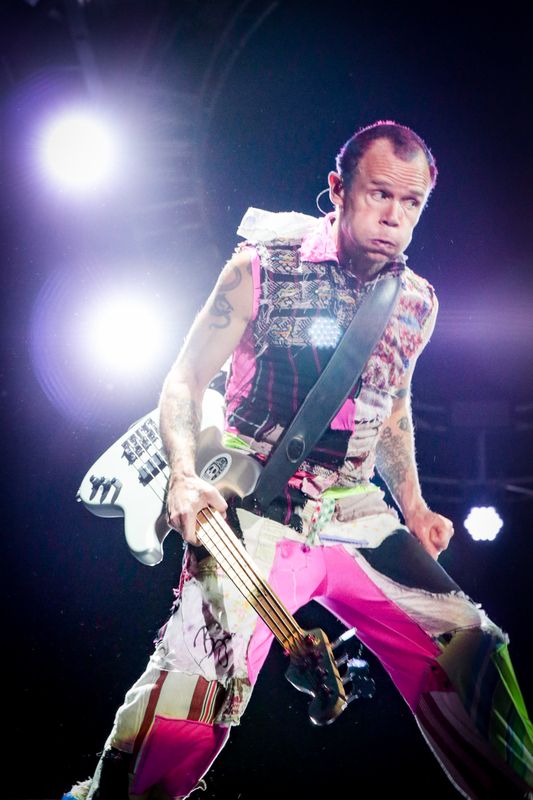 Everyone that I came across, that attended the Chili Peppers concert, had nothing but high praises for their show. I did see a lot of Bluesfest attendees wearing Chili Peppers t-shirts the next day too. Thankfully Saturday’s weather was much better! While it was overcast and grey it was not raining. Unfortunately, I only arrived at Bluesfest right before The Lionyls took the stage so I didn’t have the opportunity to stroll the grounds, or try and win something at the Best Buy booth. The Lionyls were playing on the main City Stage where a lot of people had already started camping out for the Duran Duran performance later that evening. It was my first time seeing this Ottawa native band and all I can say is ‘WOW’!! The Lionyls music style pays homage to rhythm & blues, funk, soul, and rock & roll traditions. 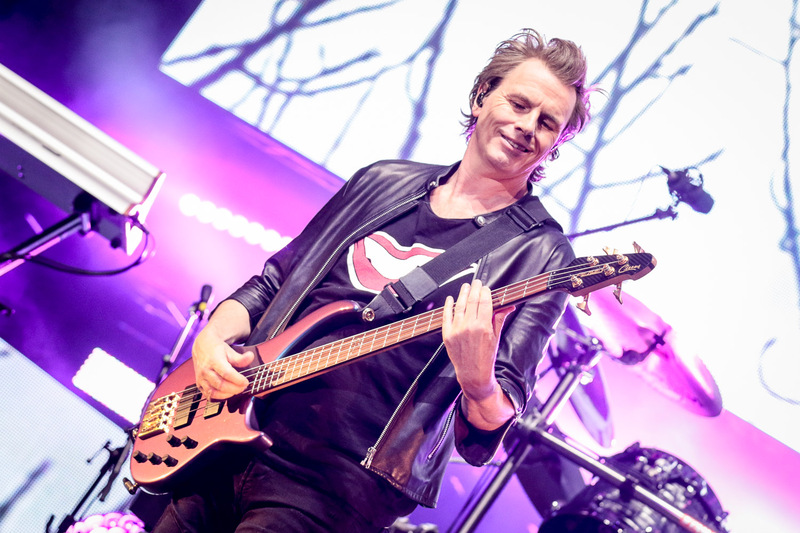 They have so much charisma and stage presence that they drew the crowd right in and got all of us pumped up and ready for Duran Duran. But The Lionyls are also very gifted musically as well. The guitarist and bassist were outstanding to watch. Their lead singer has a great voice and got the crowd singing and dancing along. The Lionyls were a jewel in the Saturday line up. While I didn’t leave the City Stage area to go over to see Nelly perform as I had a great spot for Duran Duran, I could hear his concert. 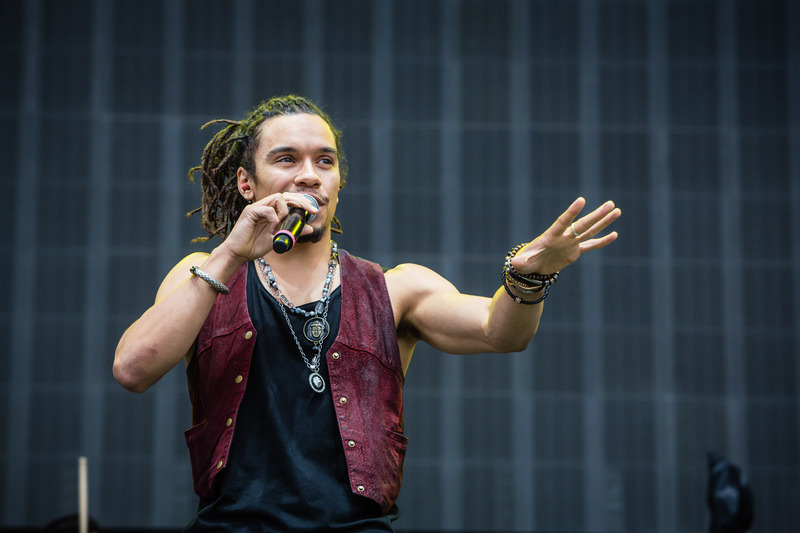 I really like his music and I was singing along and dancing with others around me. I could hear the songs ‘Ride Wit Me’ and ‘Hot In Herre’. 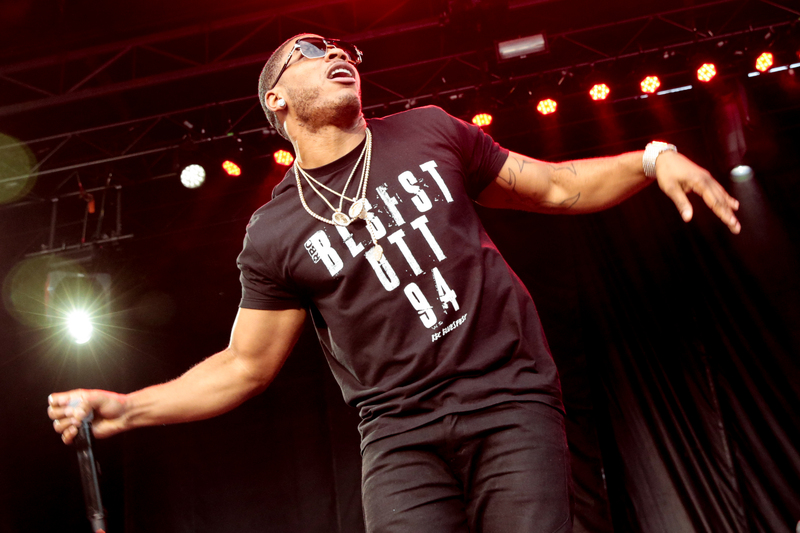 The crowd went nuts when Nelly did his own take on Florida Georgia Line’s song ‘Cruise’. Too bad I couldn’t physically see his show. He then introduced the crowd to Nick’s ‘wonderful’ replacement, Amanda Warner, who is better known by her stage name, MNDR. She was really good too. 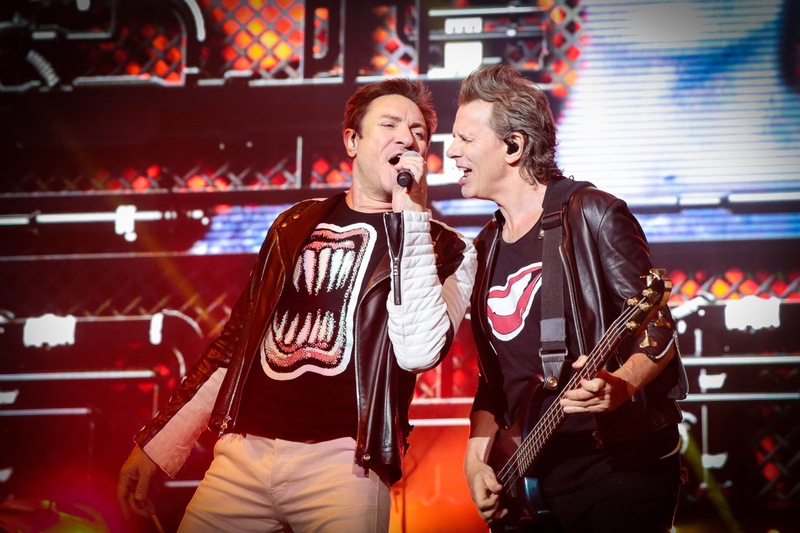 Duran Duran opened the night with the song ‘Paper Gods’ which is the title of the tour and their latest album. I loved hearing the ‘classics’ like ‘Notorious’, ‘Hungry Like The Wolf’, ‘Wild Boys’, and ‘The Reflex’. 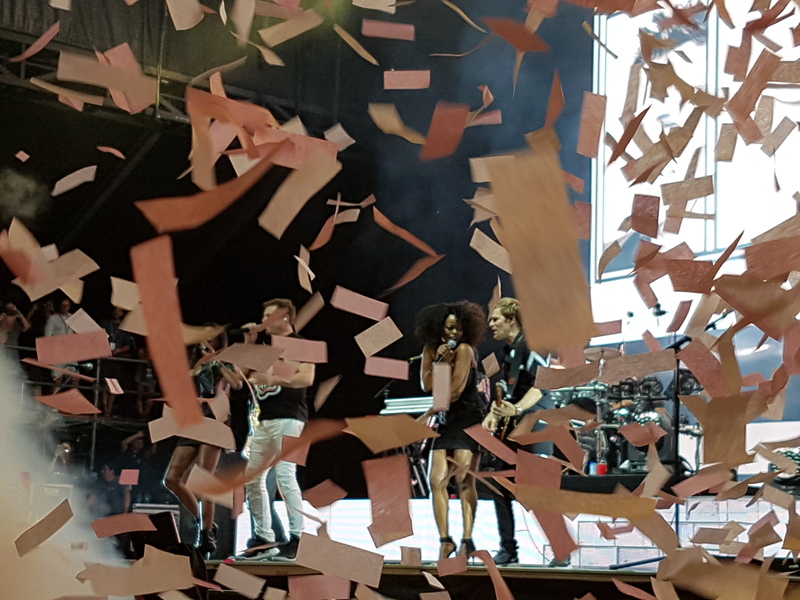 During the song ‘Pressure Off’ two air cannons shot tons and tons of pink confetti into the crowd. 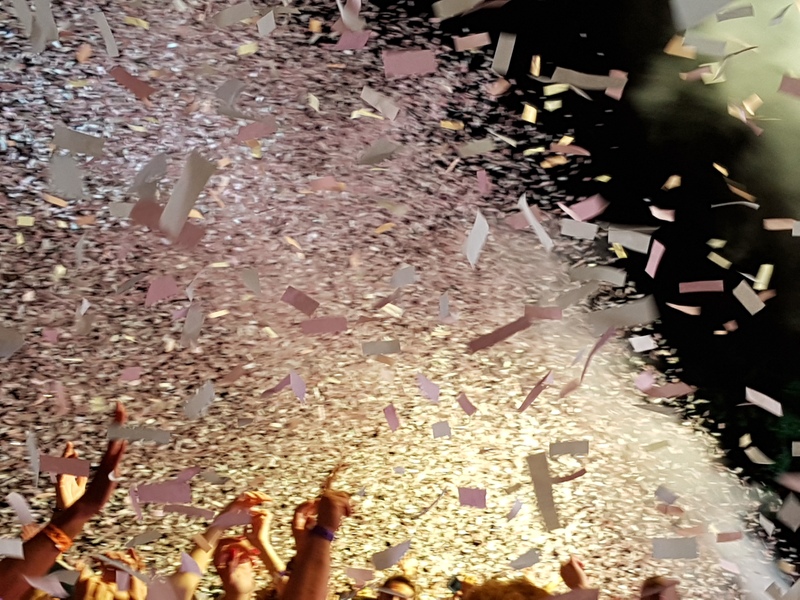 It is hard to describe what it was like being caught in a shower of pink confetti like, that but it did feel somewhat magical. 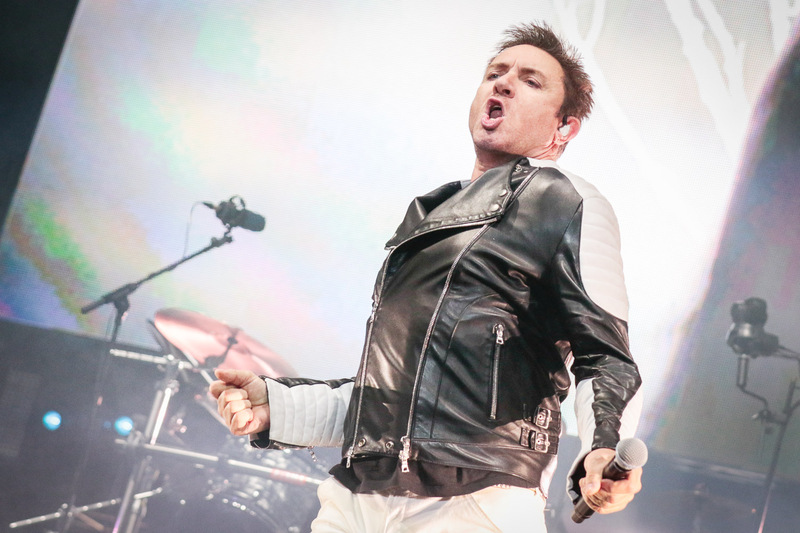 Duran Duran met my expectations and I can now check them off of my wish list of bands to see live. I am so happy that I was able to attend Bluesfest this year!! It was incredible and I had so much fun. 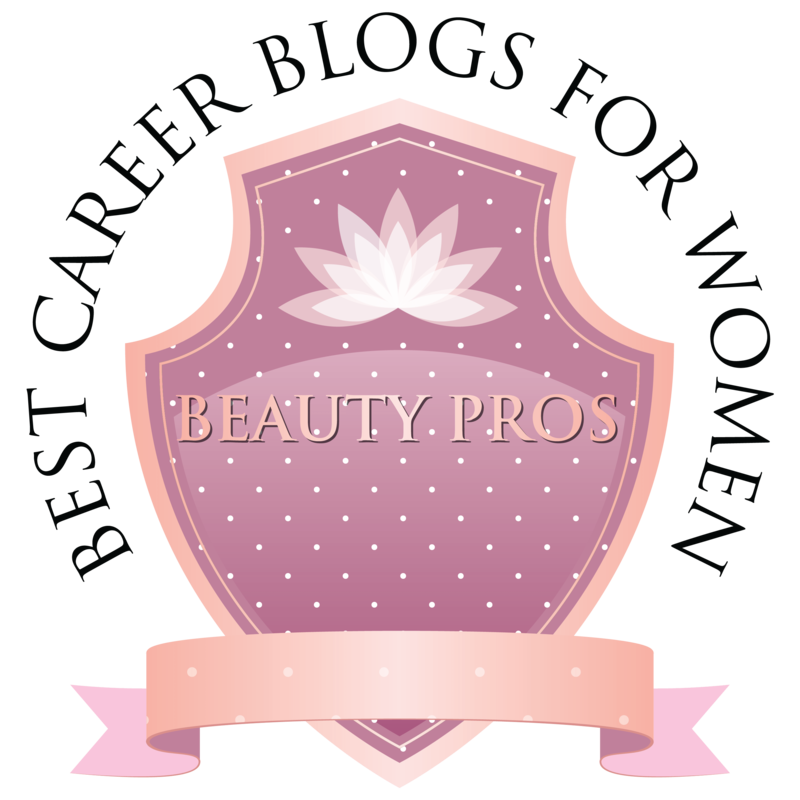 It helped to refuel me and provided lots of fun for the ‘life’ side of a work / life balance. 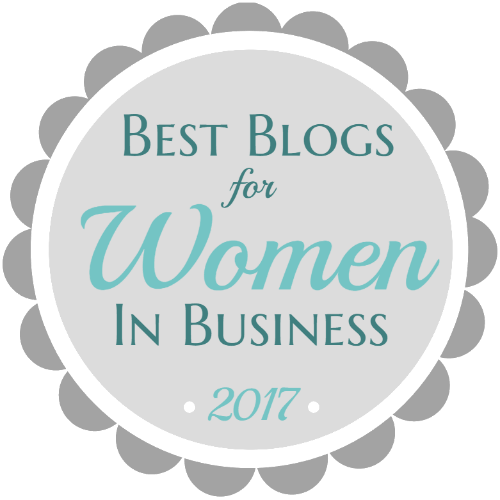 Kudos to the organizers and everyone involved. A special thanks to all the wonderful volunteers that I met and came across during my Bluesfest experience. They were all so polite, professional and great to deal with. 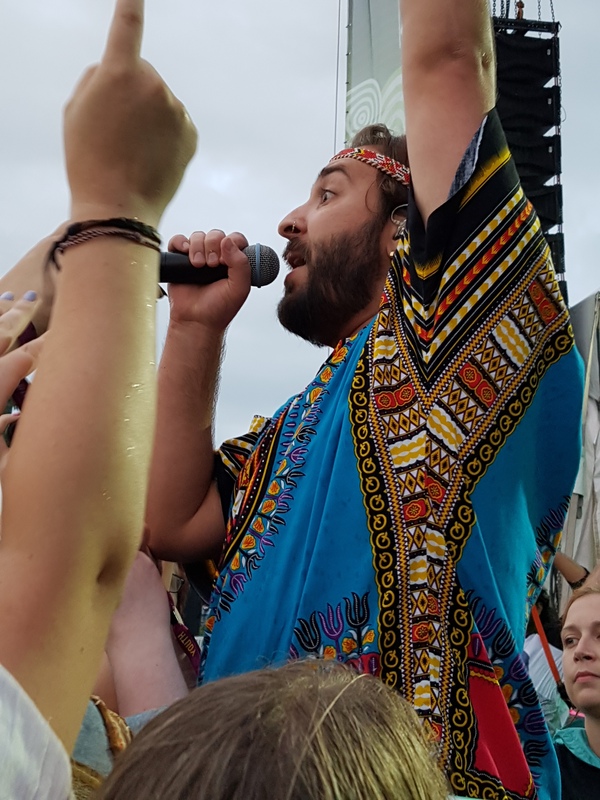 If you did not have the opportunity to attend Bluesfest this year I highly recommend that you block off some time for next year. I can see why Billboard Magazine ranks Bluesfest as one of the top 10 outdoor music festivals. 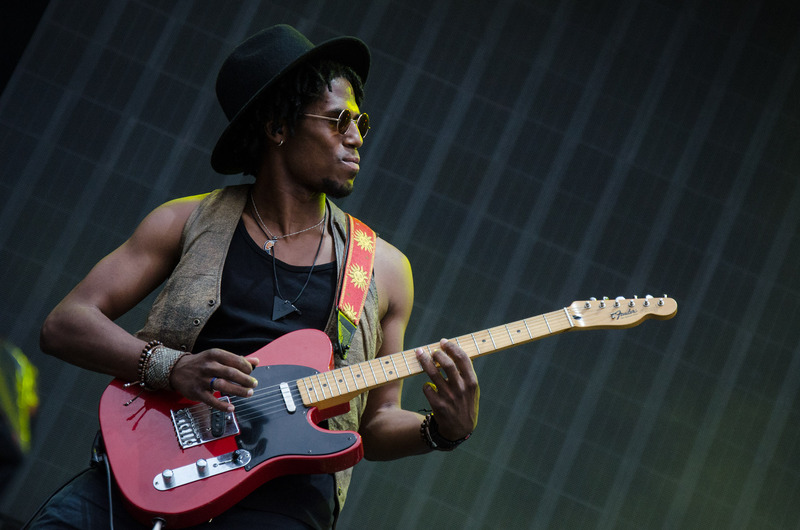 All photo and videos on this page are the copyright of Take It Personel-ly and Ottawa Bluesfest. No reproduction or use is permitted without prior authorization. 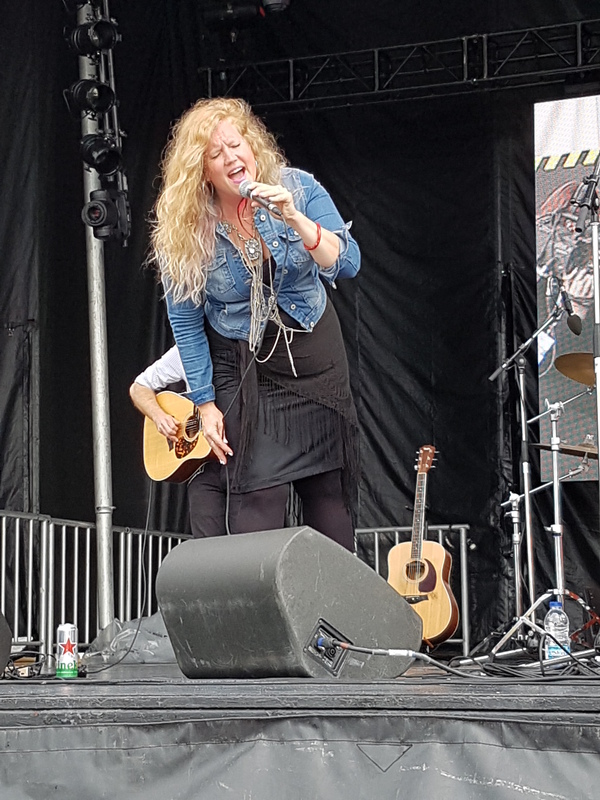 Thank you to RBC Bluesfest for the Photo and Media Accreditation.